If you are on a freelancing career or simply an independent contractor, you can indeed make use of a certain type of an agreement that can be useful for all of your transactions with your clients, securing your projects as well as your professional integrity in the process. 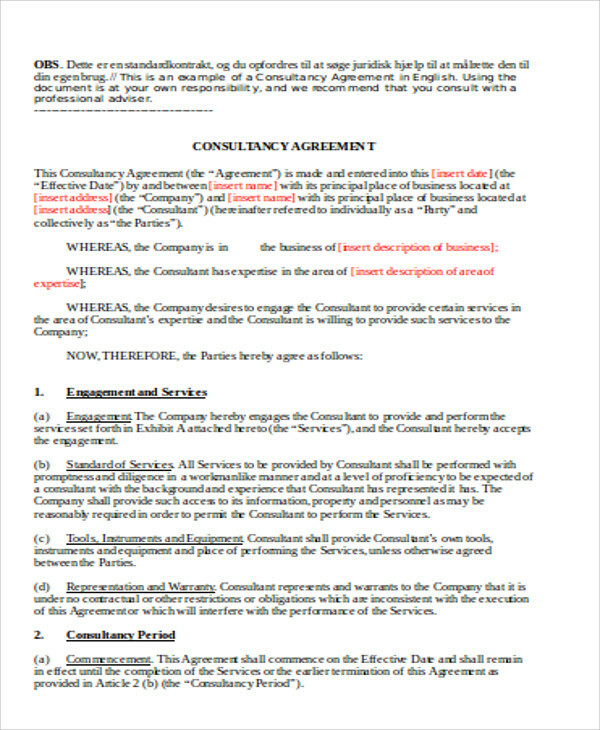 Usually this kind of an agreement is often referred to as the consulting retainer agreement. 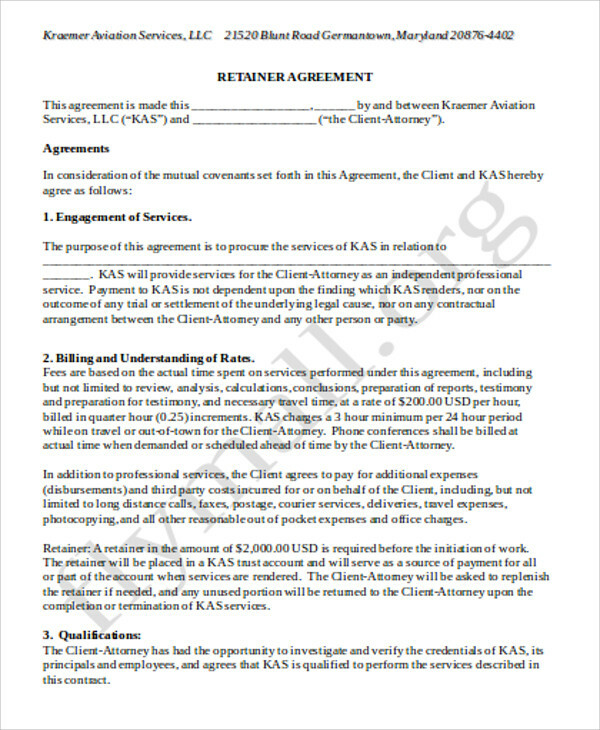 Consulting retainer agreement, as how Creative Business would want to define it as, is an agreement between the individual or a certain organization and the client for the such services that the particular individual or the certain organization offers. 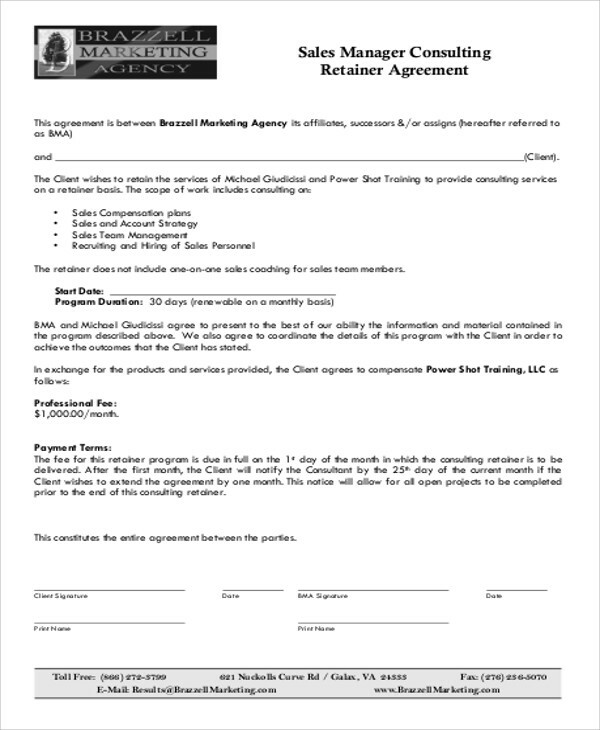 Perhaps you can browse through these Sample Agreements that can be a lot helpful as well as useful for your future endeavors and ventures toward your career growth. 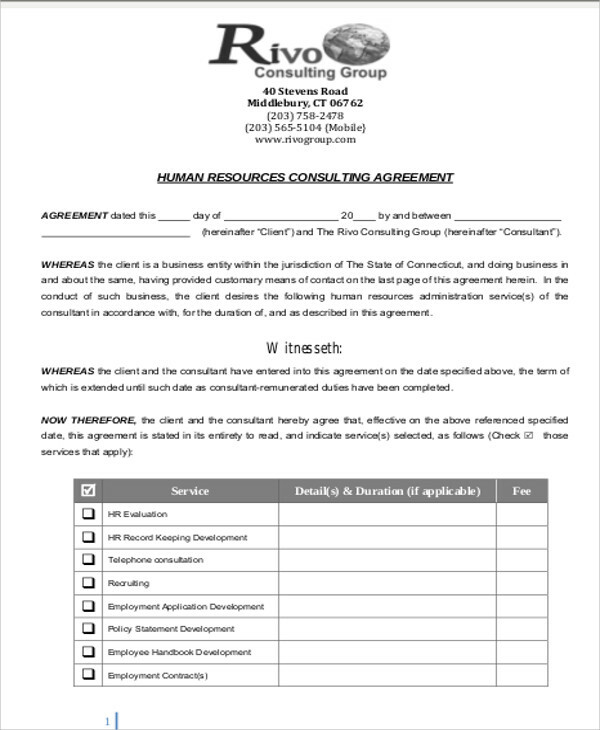 You can also have the option to have a look at these Sample Consulting Agreements as well as examples of Marketing Consulting Agreements that can definitely help you with your career and professional growth. Other than that, it is also essential as well as it is recommended for you to gather some key information and details with regards to the subject matter. 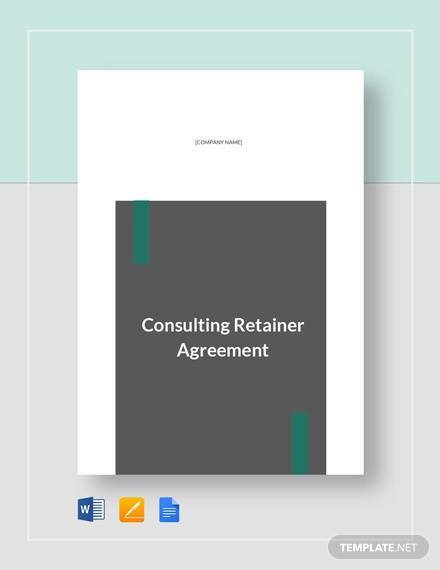 In relation to that matter, here are some important elements of a consulting retainer agreement that is essential for you to familiarize yourself with. Description of Services – this particular element would simply specify and detail the overall services in which the independent freelancer offers, which would be then subject to discussion with the client until both of them would come up with a mutual agreement. Performance of Services – this particular element of the consulting retainer would simply imply the certain services to be performed as well as the specific hours and time period to be worked by the independent freelancer or contractor, which is also to be determined by the freelancer themselves. Most often than not, clients would rely on the freelancers to work as many hours needed for the freelancer to fulfill his or her obligation under the certain agreement. Payment or Retainer Fee – this element clearly states that the particular would pay for the freelancer, usually but not limited to, monthly. Depending on the particular agreement, there could also be some compensation up to a particular amount of service hours on a monthly basis. 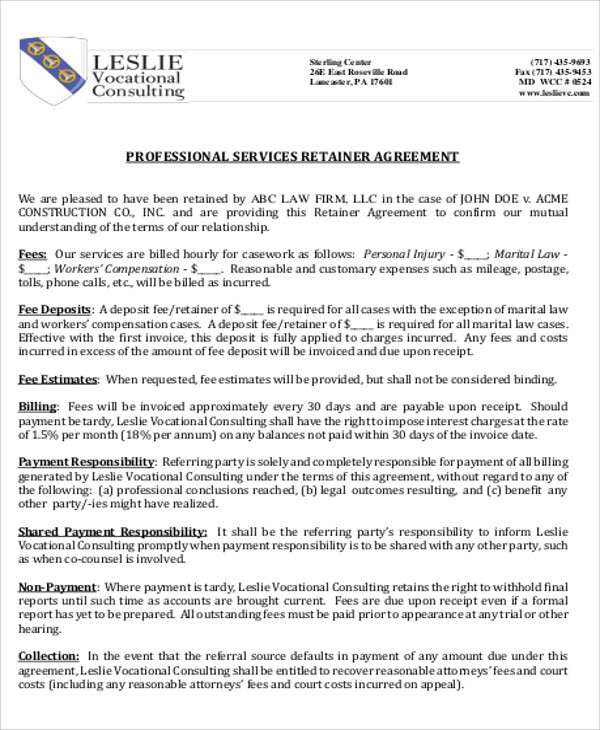 This retainer is also non-refundable. 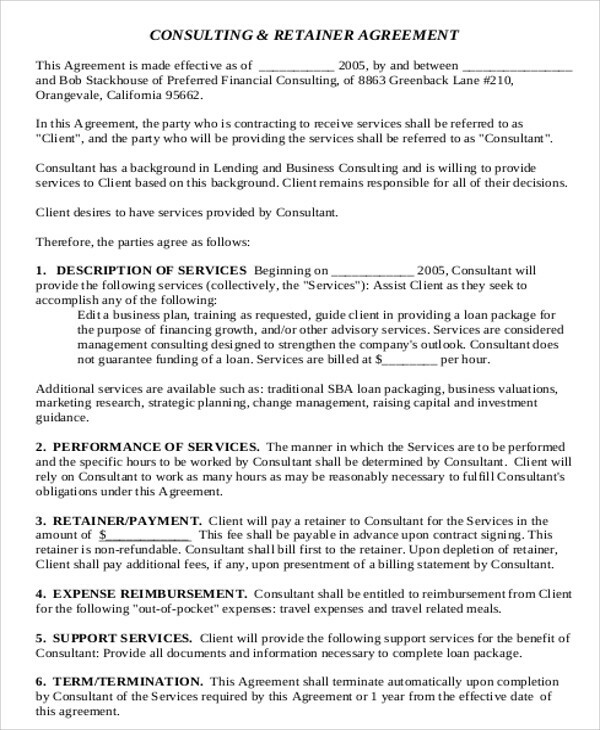 Expense Reimbursement – this particular element of a consulting retainer agreement would specifically imply that whatever the individual or the freelancer has spent “out of pocket,” as long as it is pre-approved and approved by the client, it shall be entitled for a reimbursement. Term or Termination – depending on what was initially being discussed and mutually agreed upon, this element would specifically indicate the time period or the duration for the termination of the consultant or the freelancer along with a written notice. On the other hand, the agreement can also be renewed. 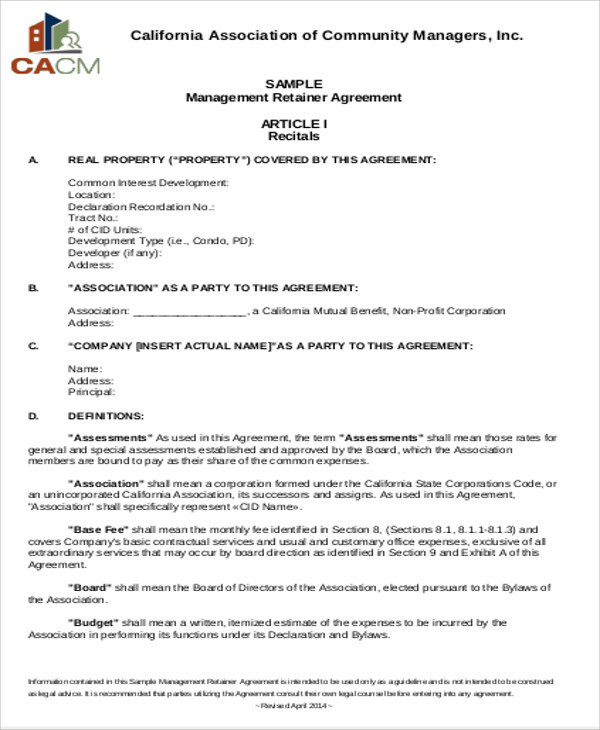 Relationship of Parties – this particular would just simply state the professional relations between the client and the freelancer or contractor. 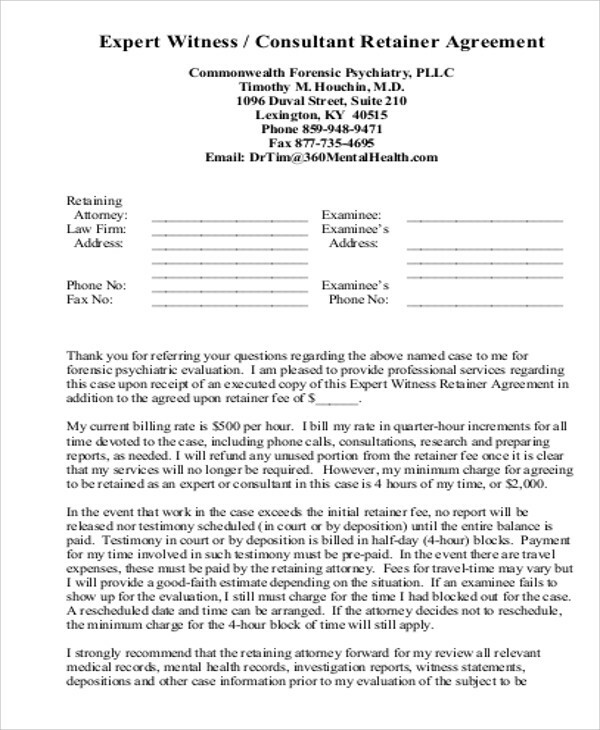 Disclosure – this element is necessary to disclose any information that may conflict with the client’s best interests. 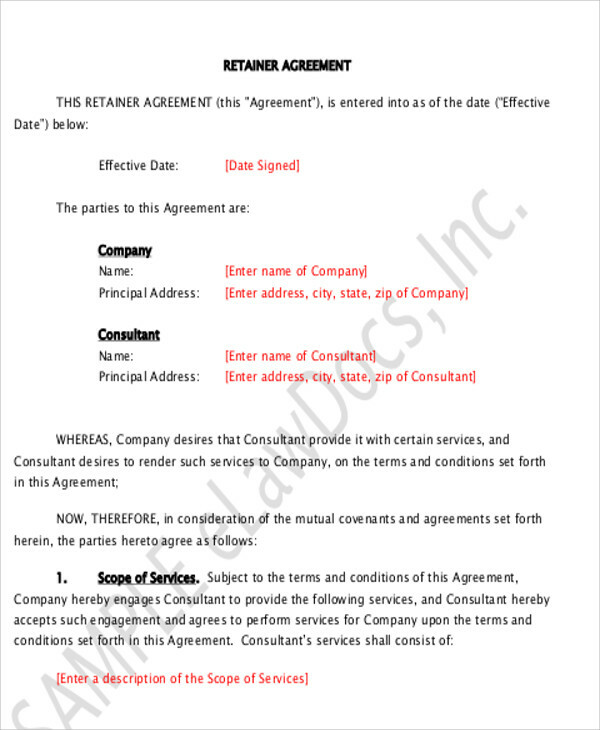 You may also browse through some Business Consulting Agreements for any additional and relevant information.